Earlier this year I visited the Betchworth Beaders. It warms my heart to find people really enjoying my work, and it’s a pure delight when they wear their creations to my classes. Kate Sterling had been working through the designs in ‘Introducing Albion Stitch’ and brought her creations to show me. 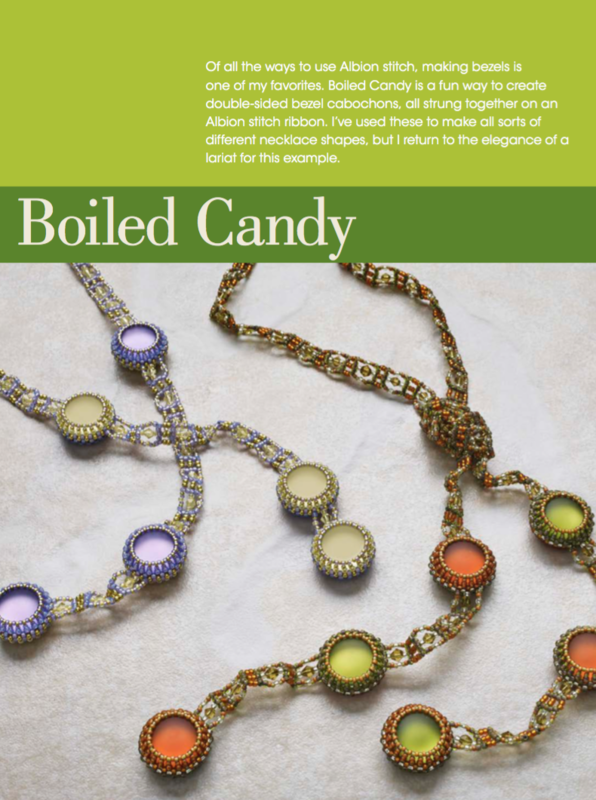 I just had to take a picture of this rich and fruity ‘Boiled Candy’ lariat. 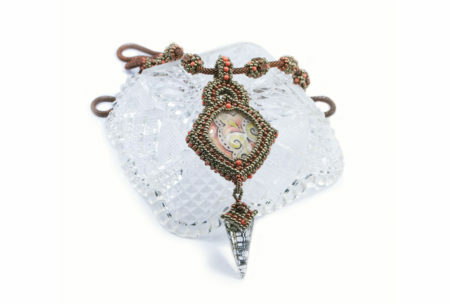 Designed to be reversible, as you can see from the book page. 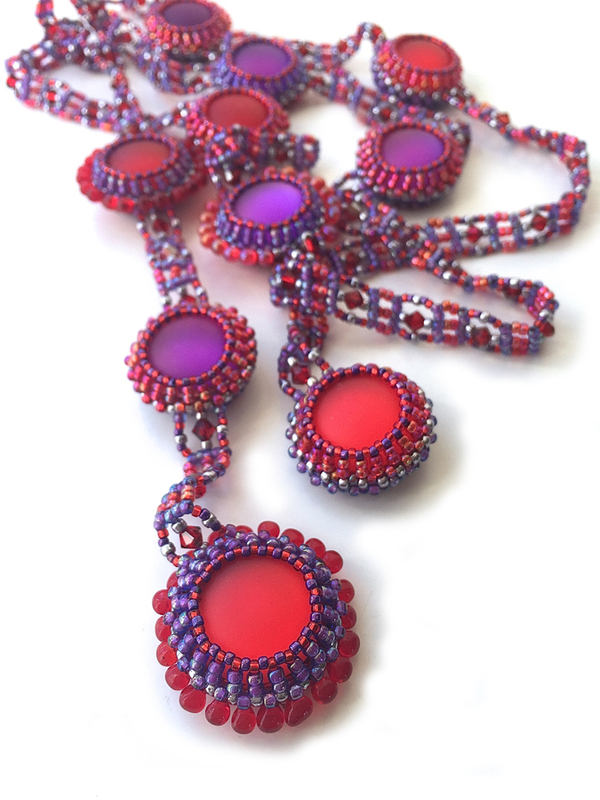 I’m tempted to get busy again with reds and purples! I also love that Kate added more texture with frosted drop beads. Definitely a mouthwatering mix. Introducing Albion Stitch is published by Kalmbach books. It’s available in my book section here. or you can order it directly from Kalmbach. The book is also available as a German translation here from Creanon.